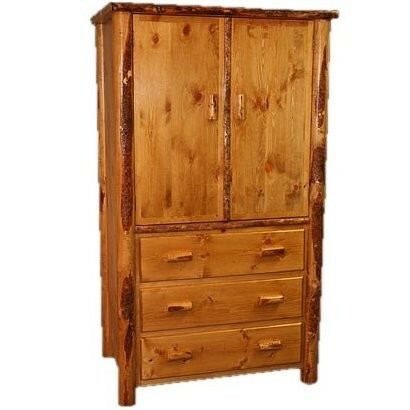 The Lodge Pole Pine Log Armoire features three drawers and one adjustable shelf. Cabinet will fit a standard 27" TV. This lodge pole pine armoire is made of solid lodge pine with a durable oak stain and natural bark finish.